Introducing HoloBuilder’s new JobWalk App! Easily create your own virtual 360 tours with JobWalk and your Theta S! HoloBuilder is releasing its new JobWalk App in the App Store and the Google Play Store. 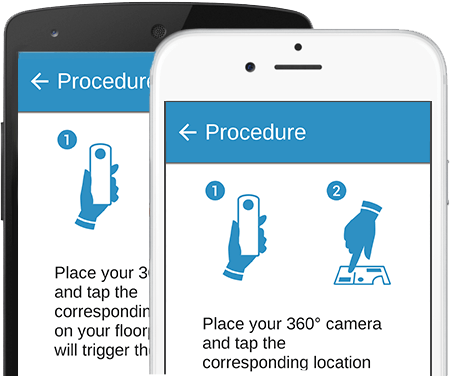 HoloBuilder’s JobWalk App allows you to capture 360° photos and locate them on a floor plan by connecting your Ricoh Theta S 360° camera through WIFI. 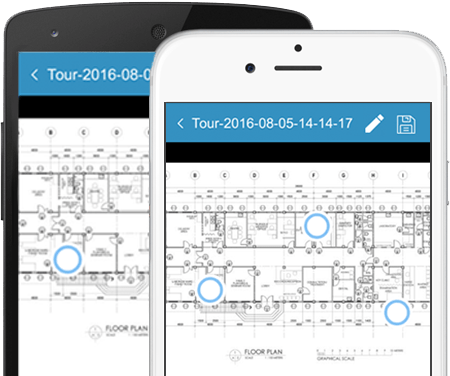 All you have to do is upload a floor plan, and then tap on the places on the floor plan that you want your 360° photos to be linked to. When you’re done taking all of your pictures, an automatically generated tour will be uploaded to the cloud! Your finished tour is ready to be accessed from anywhere. If you want to know more about the 360° Job Walk App, or have any other questions, please feel free to reach out to us at support@holobuilder.com or visit our product site www.holobuilder.com and initiate a live chat – we are there for you! As always, we have prepared a detailed tutorial about this App, available on our blog. The postman just delivered a brand new Theta Model S camera directly to our headquarter’s door, sponsored by Ricoh! We are really impressed by the image quality and the numerous improvements that the new device brings along. 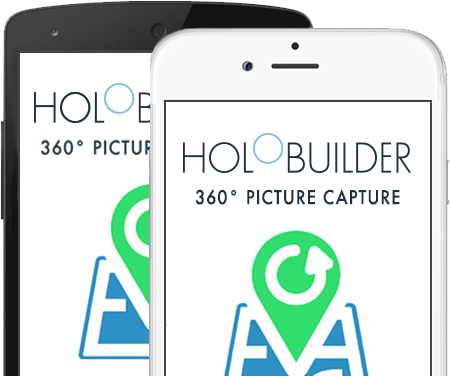 The camera will definitely support us essentially at the continuous, further development of HoloBuilder.com and will help us to get more users enthusiastic about great 360-degree content. We would like to express our sincere thanks to Ricoh at this point and are looking forward to a good further cooperation. In Tokyo, the web application holobuilder.com made by German start-up company bitstars just won the worldwide RICOH Theta Developer Contest held by Japanese technology provider RICOH. holobuilder could push through the fierce competition of 72 participants and 173 submitted projects from all over the world. The web-based application convinced the jury with its innovative possibilities in perfection to enhance 360 degree spherical panorama with 3D objects. Tokio, Japan/ Aug. 20, 2015. In Tokyo, the German start-up company bitstars just won amazingly the developer contest by the Japanese technology provider RICOH in collaboration with the YRP Ubiquitous Networking Laboratory. The requirement for participation was the usage of the RICOH THETA, a special camera for 360° panoramic photos, to make more convenient or provide new methods of application. With holobuilder, a web tool that can, among other things, be used for the augmentation of 360 degree panoramic images with 3d elements, the partly in Palo Alto, California, USA and Aachen, Germany located company was able to stand up to strong competition from 15 countries. Inter alia the submissions came from the strongholds of technology start-ups, such as Silicon Valley, Tel Aviv or of course Japan itself. holobuilder could push through the fierce competition of 72 participants and 173 submitted projects from all over the world. „holobuilder received the Grand Prize for its implementation using open components, the degree of perfection and practicality as well“ said jury member Ken Sakamura, Professor of Interfaculty Initiative in Information Studies at the University of Tokyo. The guiding theme of the whole competition was „innovation“ and the prizes were awarded on the basis of the evaluation criteria of creativity (originality), future outlook (potential, extensibility) and benefit (practicality). „holobuilder adds stamps and comments to RICOH THETA photos. Such a function is common for 2D photos. But the vision of incorporating the function for spherical image handling, moreover the feeling of affixing stereoscopic stamp in space is innovative. I feel the potential in this direction” as Sakamura stated further. Holobuilder convinced the jury with its ease of use and originality. After importing the 360° photosphere taken with the RICOH Theta 360° panorama camera into holobuilder, the possibility of looking into any direction in the image gives the impression of actually being located directly within the recorded scene. Through further augmentation with various 3D models, texts and symbols, new and innovative ways for impressive experiences in virtual reality open up. From a journey of the most beautiful places of the last private vacation to a professional guided tour through the future apartment, both experiences broaden with exciting virtual 3D models of the desired furniture – creativity is boundless. The resulting „holos“ can be viewed on any mobile device such as tablet or smartphone, android or iOS. For the even more immersive fun, holobuilder can change into a special mode for Virtual Reality headsets like Google Cardboard. Built-in functions for sharing on social networks or integration into an own website round the offer. 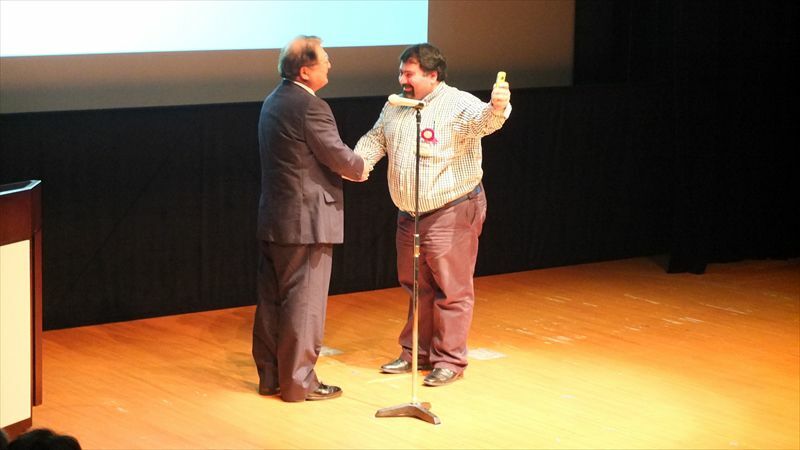 For this concept holobuilder was awarded the „Grand Prize“ and in a celebratory ceremony at the National Museum of Emerging Science and Innovation (Aomi, Koto-ku, Tokyo) RICOH CEO Shiro Kondo himself handed over the prize to bitstars CEO Mostafa Akbari. 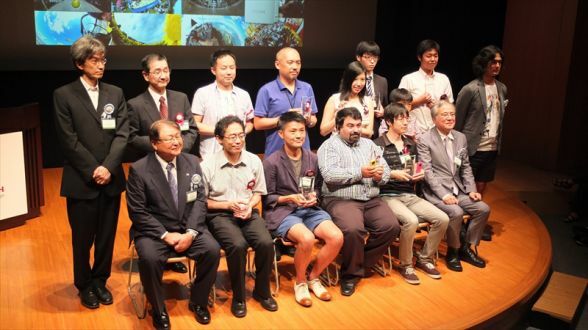 He was rewarded with a cash prize of 1,000,000 yen (about 7,500 euros) and an additional trophy.